I couldn't keep this information away from you. It's too good not to share. 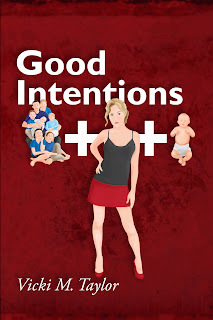 I received a review for my book GOOD INTENTIONS that really made my day. "Philip LoPresti, formerly proprietor of Phil's Shoe Service in Waldwick, New Jersey, is now a local truck driver in New Jersey. At one time he specialized in fixing worn down soles on shoes. Now he specializes in uplifting the other kind of soul." 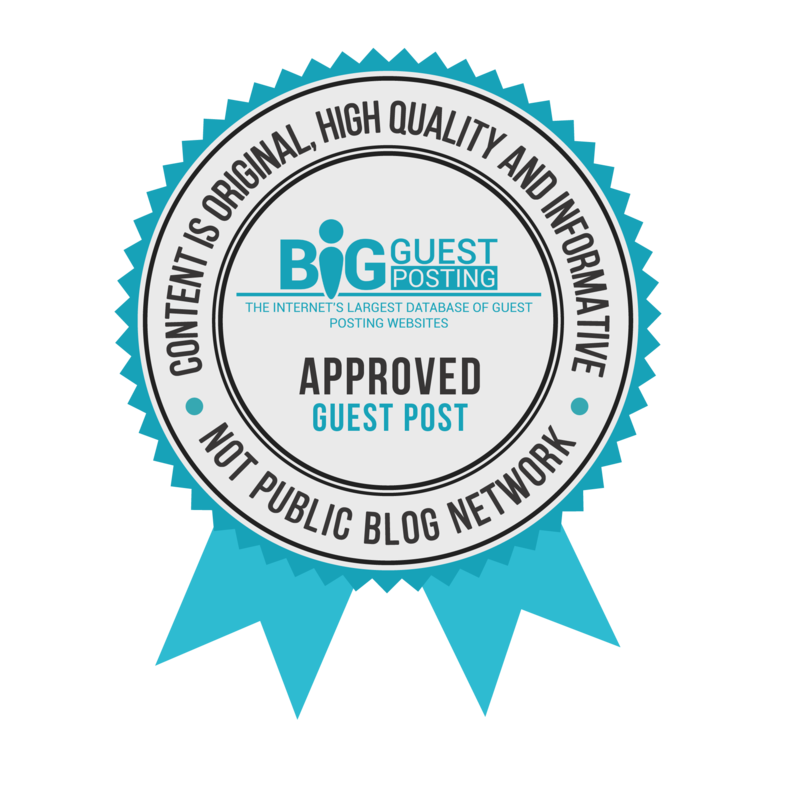 "This is a true to life story about a family of seven with parents who have a lot of love to give. The book revolves around a 14 year old girl who is both homeless and pregnant. The story is told through the eyes of the mother, Tracy Reynolds. The young pregnant teen named Megan has no family and no clue as to who her real mother was. She went from one foster home to another. No one wanted to adopt a troubled teen. Then she became pregnant. That is when she met Tracy Reynolds, a nurse at her hospital. Tracy fell in love with her at first sight and secretly wanted to adopt her and her future baby. The story goes on from there like a wild ride on a roller-coaster. The day to day detailed story will keep your mind waiting for what’s to happen next. I completed chapter 26 before I realized it was a book I was reading! The detailed description of what was occurring was like watching a movie in my mind. 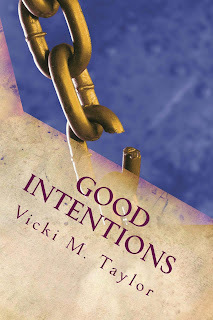 I think Vicki Taylor is an exceptional writer, and “Good Intentions” is a book anyone can read and enjoy. I learned a lot about what it’s like to be a woman and to be pregnant as well! Something I know I will never experience in my lifetime! You will remain riveted to the book and always waiting for that shoe to fall. The shoe I’m talking about is Megan, the unpredictable one. Will she flip out? Will she run away from home? Will she get pregnant again? Will she leave her baby unattended? You just never know what to expect. I recommend this book to anyone who enjoys reading. If you don’t enjoy reading, you will once you pick up this book!" You can find GOOD INTENTIONS at any local bookstore. If it's not on the shelf just ask Customer Service to order it for you. If you prefer to use Amazon or Barnes and Noble online, they carry it as well, in trade paperback and e-book format. That sounds like a great book! Fellow writer popping in from SITS! Okay now that my curiosity is all aroused, I have to have the book! 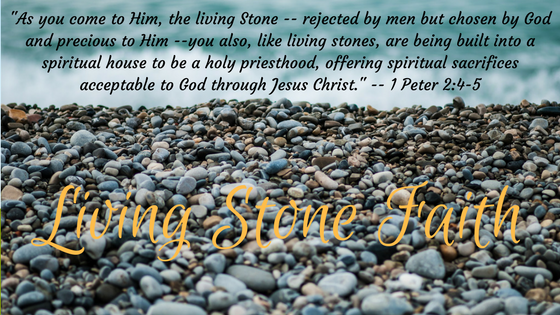 Thanks for sharing Vicki, have a super blessed day! What an awesome compliment! :) Congrats on that! Congrats, Vicki. Truly a super review. Put this one where you can find it easily for those days that get us down. Very happy for you. Thank you all for your wonderful comments. I hope that you like the book enough to get it. 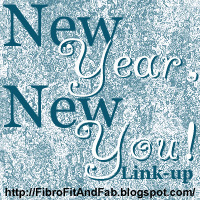 It will definitely be an eye-opener and a life changer.